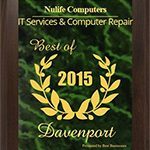 NULIFE COMPUTERS is a Professional & Affordable Licensed & Insured Computer Repair Service. © 2013-2018 Nulife computers, LLC. All rights reserved.